On Wednesday 23 November 2016, both Houses of Parliament passed two superannuation bills which included the proposed superannuation reforms outlined in the 2016 Federal Budget and subsequent changes released in September 2016. The two bills, The Treasury Laws Amendment (Fair and Sustainable Superannuation) Bill 2016 and the Superannuation (Excess Transfer Balance Tax) Imposition Bill 2016 will now go to the Governor-General’s office to receive Royal Assent. The “10% test” to claim a tax deductible personal concessional contribution has been removed. The changes outlined above (most of which will be effective from 1 July 2017) will impact individuals in a number of different ways; in some cases, new planning opportunities may be available, in others doors may be closed. 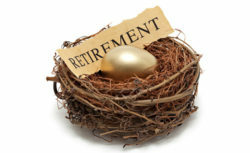 You currently (or are planning to) draw a Defined Benefit Income Stream. To discuss the changes and potential strategies that may be available for you, please contact us on 02 4268 0070.